This wonderful piece is brought to you straight from Italy. 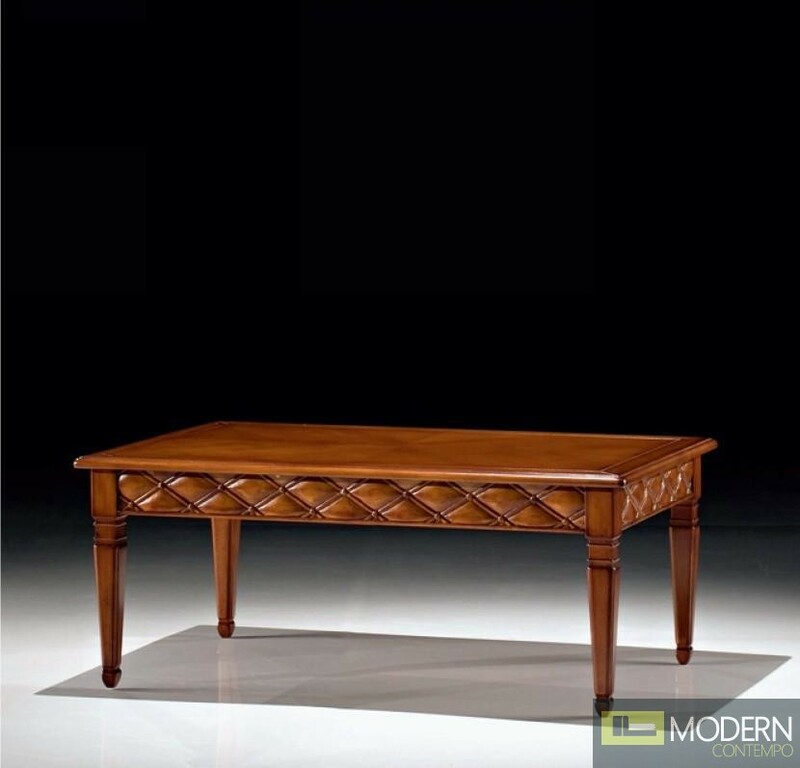 The table has a long, rectangular shape and is constructed of fine walnut hardwood and given a clear veneer finish. The border of the table has an intricate carved design.